Is It a Museum or a Boat? Lane has been going to ballet/tap class since September and has really been enjoying it. This past Friday night, all her hard work was rewarded with her very first stage performance. 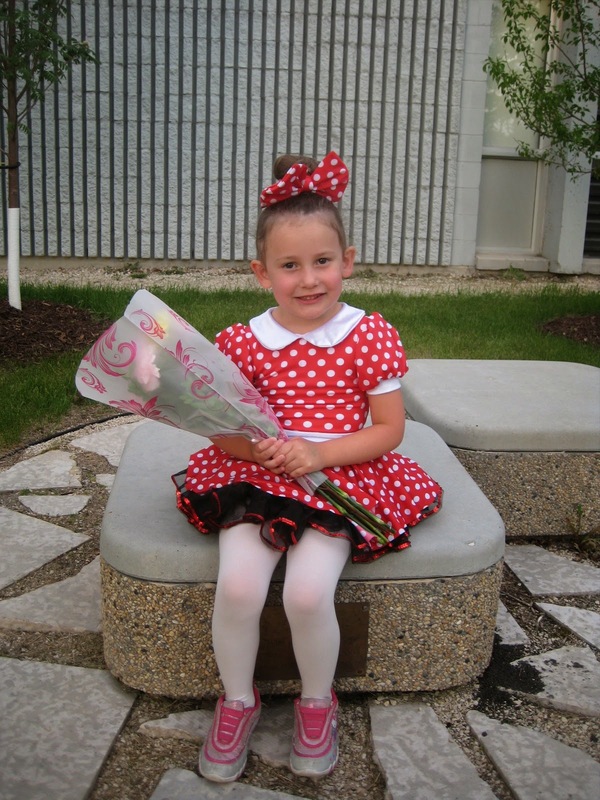 Our little princess posing with her congratulations flowers outside of the recital. Don't worry - she didn't wear her runners for the performance. Just her goofy mommy took the photo without the proper footwear. D'oh! A short video of Lane doing some of her ballet performance. She also did a tap dance with a big lollipop prop. Lollipop Prop.... Lollipop Prop... try saying that 10 times fast. Ha! I have a strong feeling that the next ballet/tap class starting in September will be in our future. Lane is hooked.